Ciara has unveiled the official artwork for her new single online. “Body Party” is taken from the American singer/songwriter’s upcoming fifth album, “One Woman Army,” which is scheduled for release later this year via Sony Music Entertainment / Epic Records. As previously reported, “One Woman Army” will sport productions from Michael “Mike WiLL Made It” Williams (Brandy Norwood, Kelly Rowland), Chauncey “Hit-Boy” Hollis (Chris Brown, Justin Bieber), Kenneth “Soundz” Coby (LeToya Luckett, Usher Raymond) and Da Internz: Marcos “Kosine” Palacios & Ernest “Tuo” Clark (Jordin Sparks, Kelly Rowland). CBE recording artist Kevin “K-Mac” McCall has unveiled the official artwork and tracklist for his upcoming mini-album, “Definition,” which will be available for download tomorrow on Valentine’s Day. 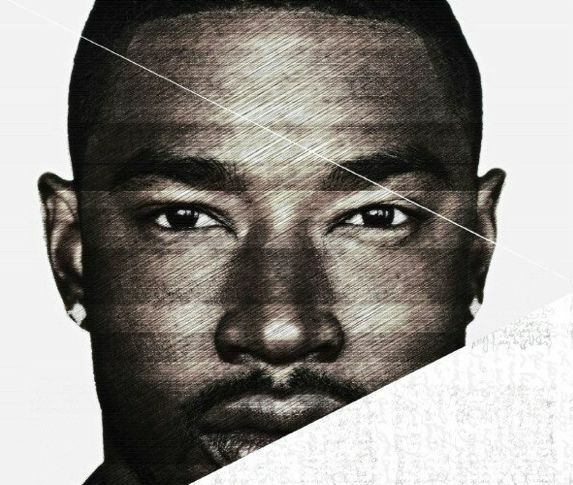 The project – which serves as the follow-up to 2011’s “The EargaZm” – boasts productions from Tha Bizness: Justin Henderson & Christopher Whitacre (Sevyn Streeter, Brandy Norwood), Taurian “Adonis” Shropshire (Chris Brown, Jennifer Lopez) and Dernst “D’Mile” Emile (Wynter Gordon, Janet Jackson). As a songwriter and producer, McCall has previously crafted hits including “Next Breath” by Tank [Warner Music Group / Atlantic Records], “My Girl” by Mindless Behavior [Universal Music Group / Interscope Records] and “Christmas Eve” by Justin Bieber [Universal Music Group / Island Def Jam Recordings]. He is also working on his highly-anticipated debut album. The release date is TBD, but among the musicians K-Mac has recently collaborated with are Jerry “Wonda” Duplessis (Keyshia Cole, Mary J. Blige) and Michael “Mike WiLL Made It” Williams (Kelly Rowland, Ciara Harris). Miley Cyrus has teamed up with Mike WiLL Made It for her upcoming fourth album, due later this year via Sony Music Entertainment / RCA Records. Recent production credits by the R&B and hip hop hitmaker – real name Michael Williams – include “Do You Know What You Have?” by Brandy [Sony Music Entertainment / RCA Records] and “Pour it Up” by Rihanna [Universal Music Group / Island Def Jam Recordings]. He also confirmed placements on the next projects by Lana Del Rey [Universal Music Group / Interscope Records], Ciara [Sony Music Entertainment / Epic Records], Kelly Rowland [Universal Music Group / Republic Records] and Kevin “K-Mac” McCall [Universal Music Group / Chris Brown Entertainment]. Meanwhile, other musicians backing Miley Cyrus on the follow-up to “Can’t Be Tamed” are Tha Bizness: Chris Whitacre & Justin Henderson (Sevyn Streeter, Trey Songz), Pharrell Williams (Leah LaBelle, Conor Maynard), Chauncey “Hit-Boy” Hollis (Britney Spears, Keri Hilson), Warren “Oak” Felder (Chris Brown, Usher Raymond) and Andrew “Pop” Wansel (Elle Varner, Nicki Minaj). Kelly Rowland has unveiled the official lyric video for her new single. “Kisses Down Low” marks the second promotional single from the singer/songwriter’s upcoming fourth album, “Year of the Woman,” scheduled for release later this year via Universal Music Group / Republic Records. The track was co-written by Theron and Timothy Thomas of Planet6 formerly known as Rock City, who are also responsible for “Misses Glass” by Leona Lewis [Sony Music Entertainment / J Records], “Rollercoaster” by Janet Jackson [Universal Music Group / Island Def Jam Recordings] and “If This Isn’t Love” by Jennifer Hudson [Sony Music Entertainment / J Records]. Production credits were handled by Michael Williams aka Mike WiLL Made It, whose credits include “Do You Know What You Have?” by Brandy [Sony Music Entertainment / RCA Records] and “Pour it Up” by Rihanna [Universal Music Group / Island Def Jam Recordings] and “Wake Up, No Makeup” by Ciara [Sony Music Entertainment / Epic Records].